"A less realistic but enjoyable John le Carré film adaptation"
John le Carré is known as the master of the spy novel, a man who worked for British Intelligence in the 50s and 60s so known for realism, complex plots and characterization. Many of his novels have been adapted into successful movies and TV shows like The Spy Who Came in from the Cold, Tinker Tailor Soldier Spy (twice), The Constant Gardener and the recently critical hit The Night Manager. Our Kind of Traitor is the most recent novel to be given a cinematic adaptation and it is one of le Carré's more ridiculous offerings. Perry (Ewan McGregor) is an English literature lecturer at a British university, who goes on a romantic vacation with his barrister wife Gail (Naomie Harris) to repair their damaged marriage. In an upscale restaurant, Perry is invited to a party by a wealthy Russian, Dima (Stellan Skarsgård) - and the two become friends. But Dima has a secret, he is a high ranking member of the Russian Mafia and asks Perry to take a flashdrive to MI6. But this seemingly simple task turns out to be a lot more complex as Perry and Gail are dragged into the MI6 operation to help Dima and his family defect to Britain. Our Kind of Traitor was adapted by Drive writer Hossein Amini who recently made his directional debut with The Two Faces of January which many critics described as a Hitchcockian style thriller. The same can be said about Our Kind of Traitor, it is a spy thriller about an ordinary man being thrown into an extraordinary situation. The basic set-up is like a Hitchcock movie, a man being given a random mission and Our Kind of Traitor is set in exotic and high end locations - it starts with the Moscow ballet and continues to Marrakech, Paris and Bern. Our Kind of Traitor also shares the Hitchcockian style of thrills. Macbeth director Justin Kurzel was originally set to direct, but left to make the Assassin's Creed movie and was replaced with Susanna White. White has mostly worked on television on shows like Bleak House, Generation Kill and Parade's End. She does a perfectly decent job behind the camera and keeps the tension high throughout the movie - some of the standout pieces include Perry and Gail being trapped in a French apartment and an operation in the Swiss capital. 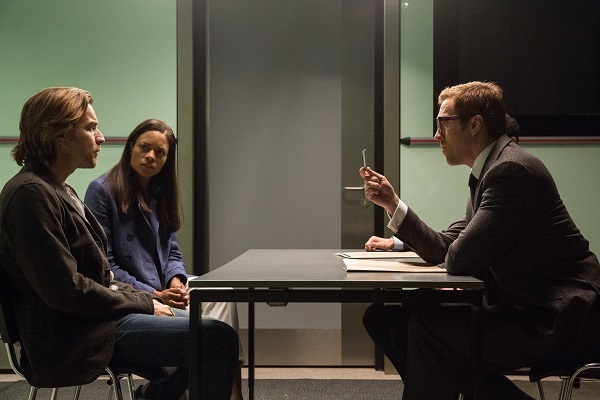 Like many of le Carré adaptations Our Kind of Traitor is very light on action and most of the tension comes from the risk of Perry and Gail being found out by the Russians, being quizzed by the bodyguards and the fear of the operation going wrong. If they fail they can't just shoot or fight their way out. White was blessed to have the talented cinematographer Anthony Don Mantle, a frequent Danny Boyle collaborator, on board. Mantle filmed many of the locations with a bright, sunlit quality - sunlight shines into hotel rooms. The foreign locations looked fantastically vibrant while London is made to look very gray and drab. Mantle also gives some scenes a voyeuristic quality where the camera is carefully hidden so we can watch conversations we are not meant to. The problem of Our Kind of Traitor is its plausibility - it takes a big suspension of disbelief to buy into events of the movie. Firstly we have to accept that a Russian Mafia man has to ask a random stranger to go to MI6 to give them information, then you have to accept that high ranking MI6 agents would not be interested in a defector from the Russian Mafia with information about corrupt British officers and lastly that two civilians have to get involved in the operation considering failure could lead to media disaster. It does not match the standard of other le Carré adaptations. Amini and le Carré's writing was occasionally ham-fisted, using poetry references to show corruption in society and Damien Lewis' Hector quoting a Polish philosopher about the nature of good and evil. The screenplay also seems to have cut some subplots because the movie resorts to explaining information instead of showing us. Le Carré's novels can be very expository because they explain events in the past which makes them hard to put to film - but Our Kind of Traitor could have found other ways to reveal the information. One of the reveals even leads to a minor plot-hole. Our Kind of Traitor is a surprisingly topical with its themes of corruption because of release of the Panama Papers and the anti-corruption summit in London with the British capital being used by criminals to clean dirty money. But there is a moment of blatant soapboxing when Hector makes a speech to his MI6 colleagues about how they are willing to turn a blind eye to the dirty money. 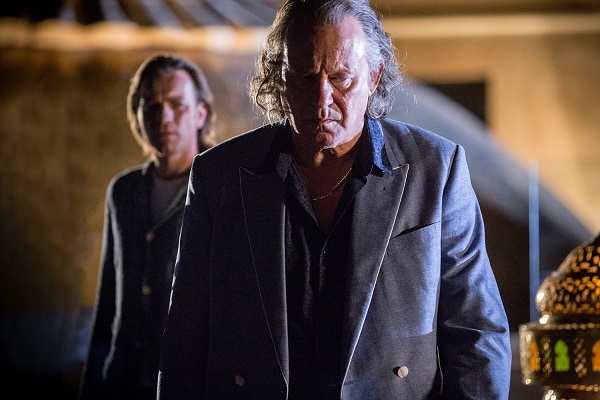 Our Kind of Traitor has a great cast and they are perfectly game for their roles. McGregor and Harris were perfectly fine in their roles as a struggling couple who were slowly trying to save their marriage and McGregor works as a flawed hero -someone who had committed indiscretions in the past but has a sense of right and wrong, willing to take on a mafia goon who was engaging in a horrific act. Perry acts to help protect his friend and family. Skarsgård was an excellent presence as Dima, on the surface a buoyant man of leisure but really trapped, being constantly watched by everyone around him and desperate to protect his family. 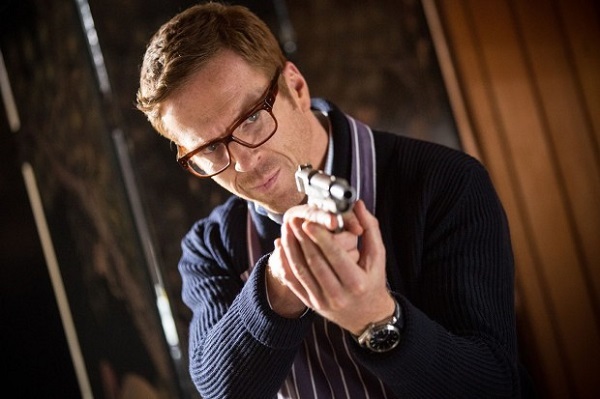 Damien Lewis looked a lot like Colin Firth in Kingsman: The Secret Service - wearing expensive suits and wearing horn-rimmed glasses. Lewis' character is similar to Philip Seymour Hoffman's in A Most Wanted Man - a spy who has to be underhanded and manipulative to the people around him, but is also trying to do the right thing for his country and agents. But Hoffman's Bachmann was a more interesting character than Lewis' Hector. Grigoriy Dobrygin from A Most Wanted Man appears in his second le Carré adaptation, this time playing the main villain known as The Prince. 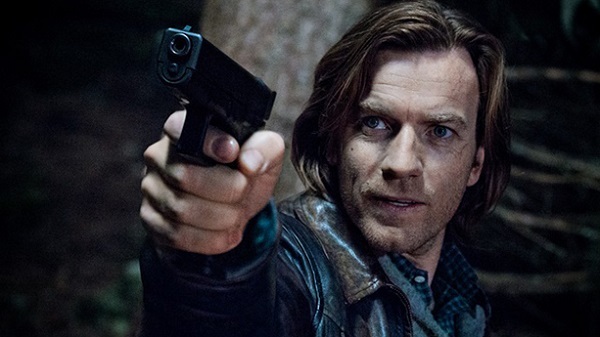 Our Kind of Traitor is an entertaining character focused spy-thriller, but the lack of realism prevents it from being considered alongside the best le Carré adaptations.